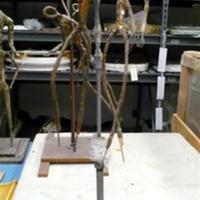 Armature of three figures, possibly an idea that was never completed. Stands on wood base. Figures are made of metal rods with plaster and clay.